Everyone at Clements Dental cares about our community and surrounding towns. We are dedicated to serving the people around us and giving back to the Shelbyville community. No matter how near or far, our neighbors are the reason we're here. 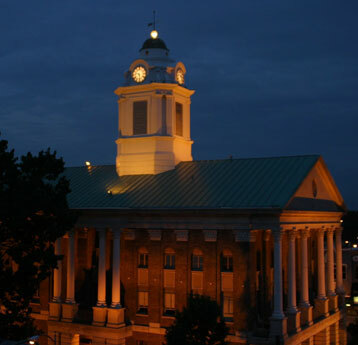 Shelbyville Tennessee is located a little over 50 miles southeast of Nashville. Shelbyville is known as the Walking Horse Capital of the World, and the Grand Champion Tennessee Walking Horse is crowned at its TWH National Celebration annually. Clements Dental provides care for patients in the Shelbyville and surrounding areas. Our major focus is supporting the community members that we serve in reaching their highest levels of dental health. Learn what others have to say about the dental care they received at Clements Dental. At Clements Dental, we are deeply committed to the quality of life in the Middle Tennessee region. As a result of this commitment, we at Clements Dental support various educational institutions, charitable and civic organizations with our financial gifts, sponsorships, and through the sharing of our volunteer time. Over the past few years, our dentists and team have donated their time to the public with Free Dental Days. We enjoy serving those in need and are thankful to be apart of the Free Dental Days every year. We love seeing beautiful healthy smiles in our community and knowing that we were a small reason for them.